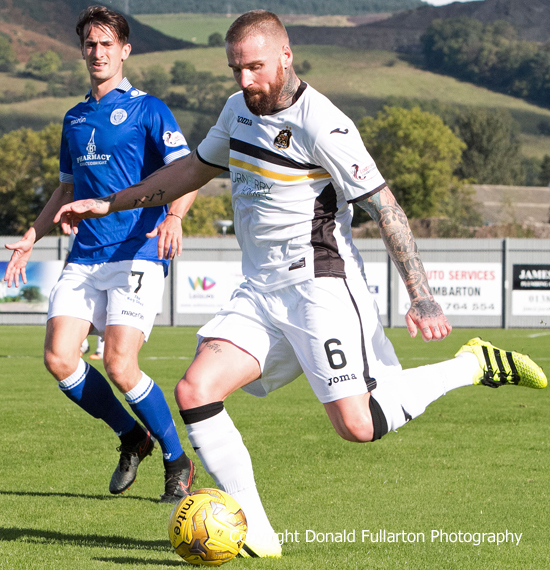 DUMBARTON held Ladbrokes Championship leaders Queen of the South to a 0-0 draw at the Cheaper Insurance Direct Stadium. DUMBARTON held Ladbrokes Championship leaders Queen of the South to a 0-0 draw in front of an 840 crowd at the sunlit Cheaper Insurance Direct Stadium. The points were deservedly shared after an absorbing and entertaining contest in which chances were few and far between. The opening 45 minutes saw decent movement in the middle of the park from both sides, with Sons applying serious pressure on the league leaders as the half progressed. Josh Todd, David Smith and Darren Barr all came close for Dumbarton, while Kyle Jacobs and returning ex-Son Stephen Dobbie had half chances for Queens. After the break, Gavin Skelton's Doonhamers looked dangerous early on, but Sons were exploiting space down the right hand side. Just after the hour Sam Stanton got into the box on the far side for Sons, but he opted to shoot rather than cross and hit the side netting. With 15 minutes left headed efforts by Robert Thomson for Dumbarton and Lyndon Dykes for Queen of the South both went over the bar. In the end, despite late pressure from the visitors, Dumbarton held on for a valuable and well-deserved point. Sonstrust man of the match was defender Mark Docherty, who helped secure a solid performance at the back against a threatening Queens strike force, while a key figure up front was Ryan Stevenson (pictured).